No More Expensive and Painful Injections! For years we've seen celebrities and other high-profile figures get expensive, prescription-only B-12 shots. 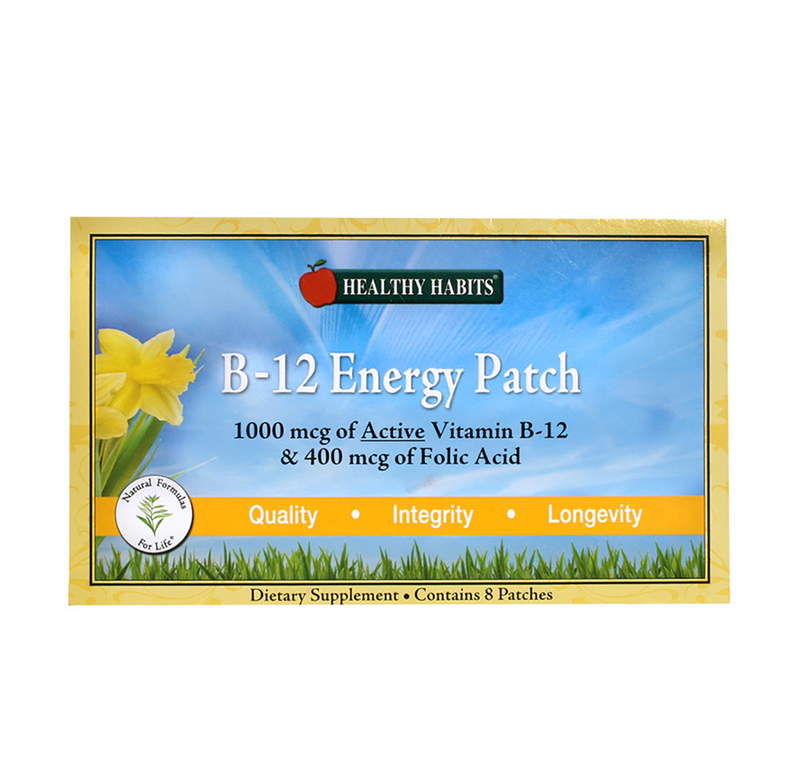 With our new B-12 Energy Patch we make it simple and affordable. Just place the patch behind the ear once or twice a week and you're done. Use it weekly to eliminating the sluggishness, fatigue and many other health problems that have been plaguing you. Many Americans unknowingly suffer from a B-12 deficiency. However, because of the way B-12 is stored in the body, blood tests rarely reveal a deficiency. Other Ingredients: Medical grade hypoallergenic adhesive. As an external dietary supplement, peel one patch from backing and apply 1-2 times per week for a 24 hour period or as directed by a healthcare professional. For best results, place patch upon clean, dry and hair free skin behind the ear, on the upper part of the neck. • For use as an external dietary supplement only. • Discontinue use if rash or irritation occurs. • If pregnant or lactating, consult your healthcare practitioner before using this product.